Do Paid Tweets Make You Nauseous? 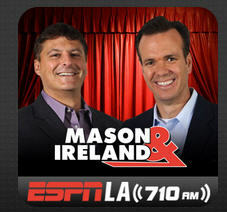 Whenever I am driving in my car in the afternoon, I listen to the Mason & Ireland sports talk radio show on ESPN710 LA. Yesterday, I heard an interesting discussion about sponsored tweets among athletes. They were talking about athletes getting paid for sponsored tweets and pointed out two of the more highly compensated tweeters – former Laker Shaq O’Neil and football player Chad Ochocinco – and also mentioned an article about 5 New Orleans Saints plugging their Twitter feeds for the New Orleans Saints community in the Times-Picayune. According to Mason and Ireland, Shaq makes about $5 million per year by tweeting to his 4.4 million followers, but he does it with a sense of humor and wit. On the other hand, Ochocinco appears to blatantly plug his products to his 2.9 million followers. You can follow the entire discussion with John and Steve from yesterday’s Mason & Ireland show at this link. For me, it was interesting to hear a social media story spill over into sports talk radio, and the topic generated a bit of debate. They ultimately posed the question – is there anything ethically wrong with paid tweeting? The idea of paying players to promote the news site raised a red flag for media ethics educators who say it can create the appearance of an inappropriate relationship between reporters and the subjects they cover. Upon further review, I also found an article published this week on CNBC.com by Darren Rovell titled, “Paid Tweets are a Gray Area for Athletes and Celebrities“. In the CNBC article, Darren writes about Michael Vick tweeting for McDonalds and mentions a Twitter advertising company called MyLikes.com. I had never heard of the company, so I decided to check it out. It turns out that anyone can sign up with MyLikes and begin to monetize their Twitter stream. After registering for MyLikes, a user is presented with a list of possible tweets (and per click payments) that they can then send out to ‘endorse’ a product or website. To test the service, I actually sent out a couple of tweets from the platform – and earned myself 18 cents for my efforts (but I won’t get paid until I reach a $2 threshold). I liked that I could actually edit the tweets to modify the tweet to fit my style, and then platform automatically adds a link and “-spon” at the end of the tweet. The “-spon” is a flag that indicates a sponsored tweet and signals to others that it is a ‘commercial’. Personally, posting a couple of sponsored tweets feels a little ‘dirty’ and unethical to me. The little ‘-spon’ added to my tweet could easily be missed and I am sure that many celebrities do not even bother to mention their paid relationship. Legally, the FTC requires bloggers and tweeters to disclose their connections but the rules governing disclosure are vague and do not appear to be prosecuted. As a brand, I also think there are far more creative ways to reach customers than using sponsored tweets. Since I do not actively follow many athletes or celebrities, I appear to be immune to their sponsored tweets and cannot remember even seeing any such tweets. Or maybe it’s because of the way I use Twitter as a personal bookmark and search engine that I don’t really run across too many ‘spammy’ tweets. In any case, spamming and advertising on Twitter are here to stay, just like on any other media platform, but I do not think they are effective and my experiment with them is ending. So, what do you think about paid and sponsored tweets? 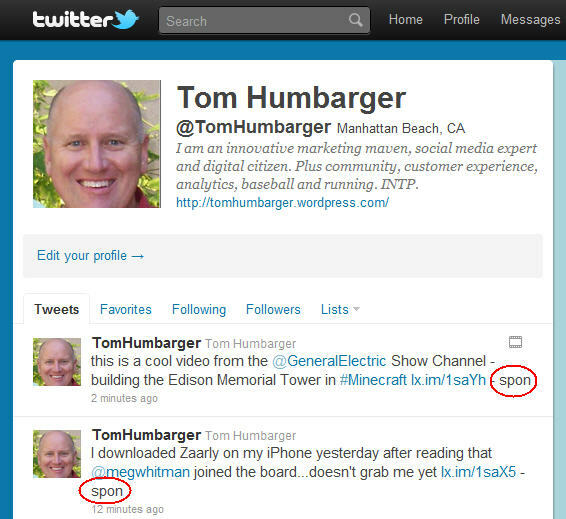 From blogger John Bell — Are Paid Tweets Effective? I wrote two blog posts on gamification in the last week last week, and Leo Sorge – a content consultant, journalist, essayist and web writer in Italy – converted it to a presentation and posted it on Slideshare. Gamification is Everywhere, But What Is It? Thank you Leo for creating and sharing this presentation! I wrote a post about Gamification last week and this week, I want to dive into more detail about how to apply gamification and game mechanics to a community site. It is interesting to see gamification now being applied in a marketing/website/community context, because many marketers and community managers have already been using these techniques to build engagement for several years. But I am more than willing to jump on the gamification bandwagon if it helps push the boundaries for other marketers and community managers. In any case, there are many ways to incorporate game mechanics into a community and which ones are appropriate depend a lot on the make-up of your community audience and what the ultimate goals for the community are. In addition, my belief is that you need to gradually introduce new elements into a community and make sure that any new features are fully explained and documented. Otherwise, you could overwhelm your audience or get suboptimal uptake of the new features. Universe of Game Mechanics — According to a definition in the Gamification Wiki,“Game Mechanics are constructs of rules and feedback loops intended to produce enjoyable gameplay.” To break the definition into simpler terms, game mechanics let you build features that are fun and addictive. 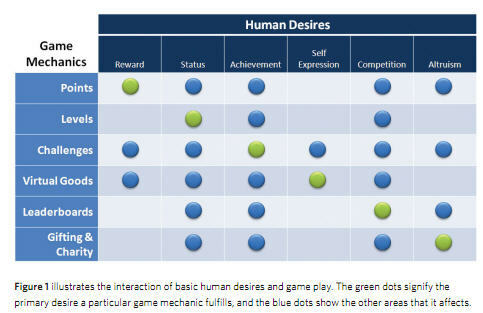 In my earlier gamification post, I provided a table that compared game mechanics to human desires. This is just a subset of possible types of game mechanics that could be incorporated into a community or website. The Gamification Wiki actually lists 24 different game mechanics and SCVNGR identifies 47 unique game mechanics based on an article published on TechCrunch by Erick Schonfeld last year. SCVNGR is a mobile game with real world challenges — and all SCVNGR employees are given the Game Dynamics Playbook and ‘strongly’ encouraged to memorize the deck of game mechanics cards. SCVNGR’s games and challenges are built using combinations of these game mechanics. Both of these lists can be used to brainstorm on adding new features and elements to any website or community. Do you have an open or closed community? Is your community a professional, social, support, informational, hybrid or something else community? How do you want members to use the community? How many members do you have and how many do you add in a typical week or month? What is the typical member profile? How engaged are your community members? How do you measure engagement? What motivates your members to join, participate and stay engaged in the community? Do you have robust member profiles? Are member profiles searchable? Can members ‘friend’ or message other members? Do you have a way for members to add their Twitter or Facebook accounts to their profiles? How easy is it for members to share content on other sites? What goals are you trying to accomplish with the community? Can you measure them? Do you have any elements of gamification incorporated into your community today? Does your community platform support gamification elements? Can you track your measures in your community system? Recency — when was the last visit? Frequency — how often does the member visit? Duration — how long do members stay on the sight when they visit? Virality — how often do members share content on the site? and how much is their sharing amplified through their network? Ratings — how often do members rate content on the site? 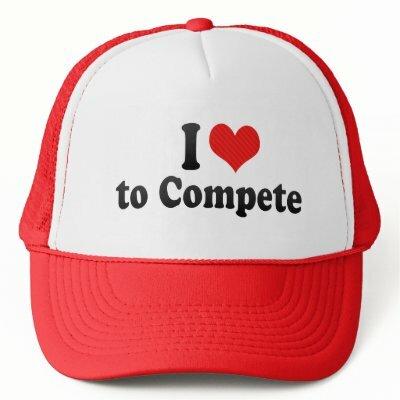 Suggestions for Community Gamification — Based on my experiences with professional user communities, I am going to make some suggestions for what gamification features I would want in a community today. Many of features were not available in the community platforms I used in the past and some may not be available on your platform either. If these features are not available on your platform today, they then become your short list for features and enhancements that need to be added to your site. As a start, these gamification techniques should satisfy community members’ human needs for reward, status, achievement, recognition, competition, altruism and self-expression. Robust profile system [self-expression, status, achievement]– First of all, the member profile system needs to be robust with the option to upload a picture and have free form bio descriptive fields. Most importantly, I should be able to link my profile to my Twitter, Facebook and LinkedIn profiles and possibly use single-sign-on use those services. The profiles should also keep a history of a user’s activity, badges and points. Another requirement for the profile system is that members should be able to create virtual friendships or groups within the community site. Point system [competition, achievement, reward, status] – I definitely want to keep track of points, but I want to be able to customize the calculation of the points. I don’t know what the ideal point values would be, but I know that I would want to experiment with rewarding members for recent visits, the frequency and duration of their visits, their sharing of content on the site or in their social networks, creating content, participating in discussions or rating content. Leaderboards [reward, status, achievement, recognition, competition] – Customization is also important in the leaderboards. I want to have multiple leaderboard; for example, I may want a weekly, monthly and all-time versions of the leaderboard that I will post in different parts of the community site to recognize leaders who are currently contributing the most to the community experience and to others who have been long time contributors. Badges [status, achievement, reward, recognition, competition, self-expression] – I also want members to receive recognition for their achievements by earning badges that can be displayed on their profiles and announced via their social networks. As a community manager, I want to be able to create different types of badges including limited edition or special occasion badges. Content rating [altruism, self-expression] – Content ratings have been around for awhile, and they are an important part of increasing engagement. I would push the envelop further by making it easier for users to share their content ratings and to search for content based on the rating. Content sharing [altruism, self-expression] – Members must be able to easily share content they like within their social networks, via bookmarking sites and by email. Challenges [competition, reward, achievement] – As a phase 2 implementation, I would also want to add some custom challenges to my community to drive additional engagement. I am not sure what form these would take, but I would start thinking about how to incorporate challenges while implementing the other elements noted above. Gamification Research Network – The Gamification Research Network (GRN) is a communication hub for academic and industry researchers and students interested in studying the use of game elements in non-game contexts. The purpose of the GRN is to further research in the area by providing a repository of relevant people, projects, and publications, and by offering a shared space of discussion and publication. Gamification is Everywhere — But What Is It? As a general rule, humans want to interact and compete with others. I had a conversation last week about “gamification” and how to incorporate it into user communities. From my previous experience with communities, I am aware of gamifiation and from my use of many popular social sites, I am an active gamification participant. But I wanted to learn more about the theory behind gamification and game mechanics — and how best to apply it from a community and marketing perspective. According to Wikipedia, “gamification is the process of using game thinking and game mechanics to solve problems and engage users.” Gamification expert Gabe Zichermann says that “gamification is the new loyalty”. And at the 2011 Games for Change Festival, former Vice President Al Gore said that “games are the new normal”. The term and use of gamification has literally exploded in the last 15 months. Before August 2010, the term rarely appeared in the Google search timeline. Starting in January 2011, it’s popularity has remained very high including 2 big spikes in January and August. Google Search Timeline for "Gamification"
At the Gamification Summit, research data from M2 Research was discussed that pegs the current gamification market at $100 million — and the market is estimated to grow to $2.8 billion by 2016. That is why gamification is on the front burner for many organizations and money is flowing into gamification initiatives and projects. Even without actively playing games, many of the more popular websites and destinations today are already gamified. And most of us are participating in or paying attention to these public displays of loyalty and success. For example, Twitter publicly displays the number of tweets, followers and following for each Twitter user. Personally, I tend to disregard any Twitter user who has less than 500 tweets or followers and use that as my ‘minimum’ for determining if someone is worthy of my trust or who does not get what Twitter is all about. Other public displays of loyalty occur in Facebook which shows the number of likes or fans that a company or brand website has received, and also adds an item in a user’s news stream when they like or follow a company. Many blogs or newsites display the number of views and shares for each piece of content which helps users to see how popular something is and whether it is worth reading. Other sites are all about competing with your friends and when you join those sites, you explicitly participate in their game. Foursquare tracks the number of places I have checked into and displays which badges I have earned. Every time I check into a venue on Foursquare, a notification is sent to both my Facebook and Twitter accounts as well as to all of my Foursquare friends. Foursquare also has a leaderboard that tracks my weekly progress against my friends’ progress. So, why do people play games? Bunchball, one of the new leaders in the gamification space, pulled together the following graphic in their Gamification 101 whitepaper . This simple table matches up game mechanics (points, levels, challenges, etc.) with human desires for game play. Each of the mechanics match a primary human desire, but most of the mechanics also impact other areas of human desire. In the following video (45 minutes in total, but well worth it), Gabe Zichermann of Gamification Co discusses the history of loyalty systems and how game theory needs to be incorporated into websites to motivate customer engagement and loyalty. Stephen Anderson gave the presentation at SxSW this Spring titled “Long after the Thrill: Sustaining Passionate Users”. Stephen’s presentation discusses how to get users to stay in love with software applications by making them more gamelike. And in another recent presentation, Margaret Wallace, CEO of Playmatics, talks about how gamification is changing the world. In any case, gamification is here to stay. Anyone less than 40 has grown up playing video games and have become accustomed to “gamelike” interactions. And as the number of marketing messages continue to inundate the typical customer, using gamification to engage customers and build loyalty will separate the winning companies from the also-rans over the next few years. IBM released a new marketing study titled “From Stretched to Strengthened” based on interviews with more than 1,700 Chief Marketing Officers (CMOs) from around the world. The study is available from the IBM CMO Study website which also includes links to other resources including two webinars that discuss the results of the study and an Executive Summary. One of the webinars will be held on Friday, October 14th at 9am Eastern and will be hosted by both Harvard Business Review and IBM. In addition, IBM has created a sub-group on LinkedIn to discuss the study in more depth. One of the first graphics in the Study shows that CMOs are underprepared to manage the impact of key changes in the marketing arena. Based on the areas where CMOs are underprepared below, it would appear that CMOs have not kept up with changes in the marketing environment. Many of these changes occurred during the last 3 to 5 years when most CMOs had already moved away from day-to-day operations into management of the marketing function. But many of these changes have been driven from the ‘bottom’ which means that these CMOs do not have hands-on experience with most of the these functions – especially the top 4 of data explosion, social media, growth of channel and device choices and shifting consumer demographics. 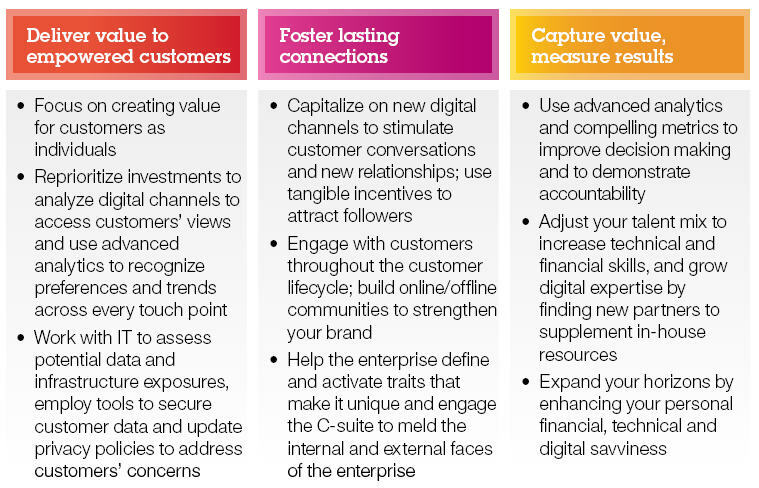 Delivering value to empowered customers means finding out who the customers are, what they want and how they want to interact with the organization. Customers have so many interaction choices and not all of them can be treated in the aggregate as marketers have done in the past. Foster lasting connections is all about enhancing customer loyalty and encouraging satisfied customers to ‘share’ the marketing effort by becoming active advocates for the brand, product or company. The companies that figure this out first will have a huge advantage as disaffected customers have many options today and are very quick to publicly share both positive and negative opinions to their socially networked connections. Capturing value and measuring results should be at the top of all CMOs lists. In the past, marketing professionals have gotten a bit lazy when it comes to quantifying the return or ROI of their marketing investments. In the new marketing order, they will have to apply financial discipline to all of their programs. 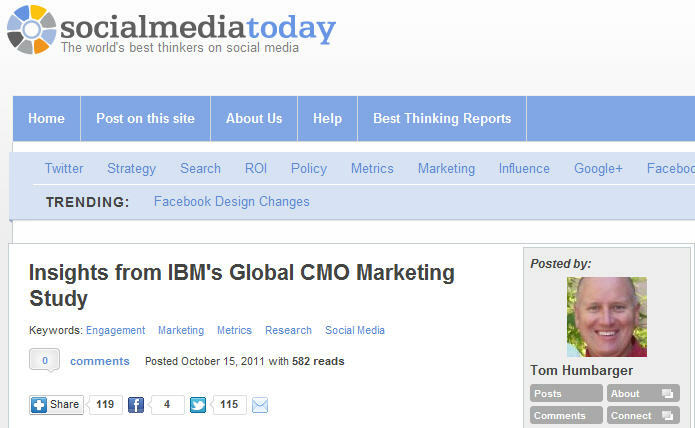 The full CMO study is available below or you can check out the ibm.com/cmostudy website. I was trying to find a blog post I wrote about community management 2 years ago, and realized that I really had to search to find it. So, I decided to write a blog post that consolidated my best blog posts on this topic to make it easier for me (and my fans) to find these posts. 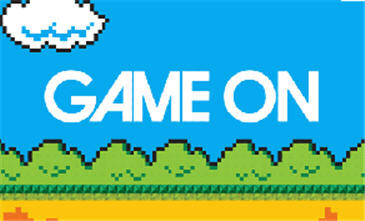 This post discusses how to apply gamification and game mechanics to a community site. It is interesting to see gamification now being applied in a marketing/website/community context, because many marketers and community managers have already been using these techniques to build engagement for several years. I am more than willing to jump on the gamification bandwagon if it helps push the boundaries for other marketers and community managers. This post is probably my most popular community blog post and it proves what happens when a community goes from active to passive (or no) management. Using real before and after statistics from the Catalyze community, the statistics are a compelling look at why active community management is so important. Looking for An Example Community RFP? In the spirit of social media transparency, I have attached an example of the actual RFP that I used 2 years when I started the community process to develop what eventually became the Catalyze community. One of the vendors who responded to our proposal noted that it was one of the most complete and comprehensive proposals that they had seen. I made a couple of slight updates to the the RFP, but for the most part I would use this same RFP if I were looking for a vendor today. Feel free to use the example as a template or to give you some ideas for your own request for proposal. I have left blanks where there was proprietary information, but for the most part the template is generic. I was asked to participate in an interesting collaborative project called the Project 100 which was started by consumer marketer Jeff Caswell. So, What Do Community Managers Make? I participated in the Forum One Online Community Compensation Survey in July2008 and wrote this post with the results. While the post is more than 3 years old, the content and insights are still relevant today. This is a follow-on blog post that is my most popular post and it provides what would be my ideal social media position. I think the responsibilities should be stated in fairly broad terms without getting into specific tools or techniques. I also don’t like job descriptions that specify a number of years of experience. Instead, a social media expert should be able to point to his body of work – through his blog, his Twitter feed, his LinkedIn profile or Facebook page – and that should be sufficient proof. Finally, a list of key attributes is essential to get an understanding of the candidate’s personality. While this post does not relate specifically to community management, the person you want to fill your community manager position should have these same characteristics. One of the most important tasks that a community manager needs to do is to regularly communicate with his members. When I was managing the Catalyze community, I accomplished this by sending out an email newsletter every 2 to 3 weeks. The frequent contact is important from many different angles. It keeps the community in the front of each member’s mind and reminds them that there is value in the community.